Оля, первое фото - супер!! Заканчиваю домашние дела, потом маникюр, педикюр, и на прогулку! Фотографии очень нежные и красивые! I love this color! Beautiful pictures! Какой красивый лак! Приятных выходных! your blog is so amazing and your chanel colour is so lovely! Hiya, Thanks so much for the lovely comment and follow on my blog! Your blog is gorgeous, love all the photography! Following you back now! I love the colour! It's just chic and classy! Fab! Thank you so much for your comment and for following beautiful! I absolutely love your blog, and of course I will follow back! I love the color of that nail polish, so classy! Thanks for your comment, so lovely. I'm a new follower! this color is just lovely...great choice :)! Very Classy & Chanel ! I love that colour of nail polish! Thanks so much for your sweet comment on my blog! I'm following yours now as well! LOve it! So pleasant color!!! these photos are amazing!!!!! love the nail color too~ xO! Sounds like the perfect day:D I love this color and the first image is just amazing. so beautiful and classy color! love it! kisses Olga and happy sunday! Love the new nail color! A big kiss from Spain!! Love the color of your nail polish! ... watermelon juice sounds yummi! Действительно очень красивый оттенок, представляю как он сверкает на солнышке! Оля, а вы там в Корее совсем арбузы не кушаете, только сок из него делаете?? Thank you for your comment and for following my blog! Your blog is flawless so I would love to follow you back! nice pictures! have a nice day! that is one gorgeous color! i love it! thank you for your wonderful comment on my blog! def following you! love that color. chanel polishes are my favorite! awesome blog. You got me hooked. Gorgeous photos and gorgeous color! Thank you so much for the follow and your lovely comment on my blog. after I had seen this nail polish in your post, I couldn't resist it and bought it :-) !! !what a great color!!! Hi Olga! 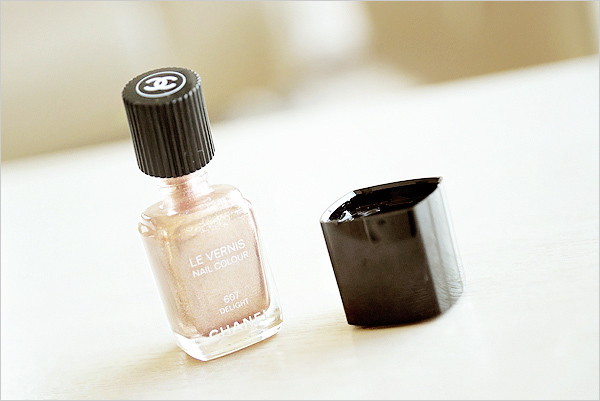 Love Chanel Nail Color and this one as well. I don't have this one. gorgeous color! <3 <3 .. Love your blog! would you like to follow each other?